Comfortable and quality living with a memorable experience. The Greentree Services Apartment is a comfortable choice of accommodation staying true to its name with a green-themed ambience. 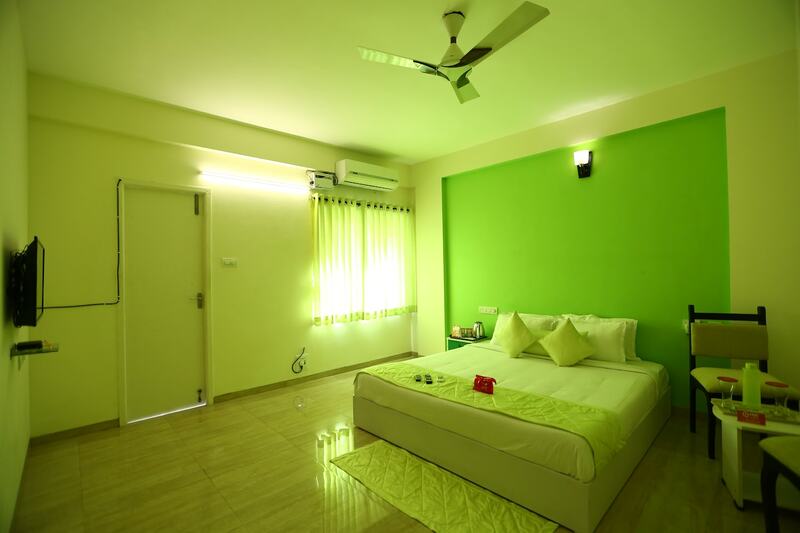 The rooms are well-furnished and clean with fine wooden finishing and proper amenities such as mini-fridge and hair dryer providing ease of stay for the travelers. The sober light with the green wall finishing keeps the room quite cozy. Chairs and a table make for extra seating space in the room. The guest can avail the facility of free Wi-Fi to connect with the internet. Other facilities available at the hotel include power backup, CCTV cameras and card payment option. The dining area is spacious and available for guest to indulge in local delicacies. Key attractions like Sundaram Sri Sathya Sai Baba Temple and Karaneeswarar Temple are near to the hotel.